After a successful campaign that saw Samantha Shaw place second in the year-end G.D. Coates Used Car Superstore Mini Stock standings, she will be returning to Sunset Speedway to chase the championship. Shaw put together a solid campaign last year, beginning with opening night and a trip to feature victory lane. She then backed it up with 10 heat wins and 13 more top-five finishes. The third generation racer and her team spent the off-season looking over the notes, with her stating they found some things they could do to find the speed they felt they were missing in 2018. “I’ve got a lot of smart people around me so if the changes we made don’t work, there’s a lot of people to lean on to make it work or come up with more new ideas,” she added. The success has caused a lot of eyes to focus on the No. 81 Mustang, citing her a favourite for the championship. “I’m doing my best not to even think about that,” she commented. “I’m there to race, and have fun. ‘Points racing’ is never my focus. If you run well, everything else figures itself out. Though even with Shaw presumably being a focus point for several, she isn’t the only strong driver in the field as fellow front runners Dylan Holmes and Chandler Bos have stated their intentions to run full-time in 2019. “I’m hopeful we’ll see more of some of the ‘big guns’ of the mini stock division – Warren Paxton, Andy & Craig Kamrath, Kevin Bridge, Will Gibbons, (Mike) Robinson (Jr.),” she commented. “Those are some insanely fast cars, and I love racing with them because I have to be at my best to even be close to them on track. 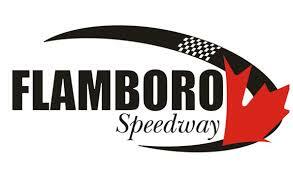 Outside of her home track game, Shaw will be taking part in several of the invitational events throughout the summer, including events at Jukasa Motor Speedway, Sauble Speedway, and Frostoberfest at Flamboro Speedway. “Last year had our best playoff season yet and I’m eager to see if we can finally break through and win a few,” she commented. Shaw is proud to have support from Spira Fire Protection, Lucas Oil Products, Nuco, Guelph Wish Fund for Children, Hy-Grade Roofing, Cambridge Source for Sports, Vinnie’s Mr. Fix-It, Gunk, Erb&Erb Insurance Brokers, Dominion Sure Seal, Wolesley, Wix Filters, TSS Top Shops, and Northern Ice for the 2019 campaign, while thanking her dad and uncle’s for all of their help and insights.